If you have an Instagram account, Twitter account, or Facebook, you’ve seen it. THE lightbox. The “must-have” teacher accessory of the back-to-school season. If you’re anything like me, you might have been intrigued the first 36 times you saw it. You might have even scoped it out on an unrelated run to Michael’s or Jo-Ann’s. If you are me, you likely messaged with your teacher BFFs hoping they too would have the little voice in the back of their head saying – what in the world?! #1. It is just one. more. thing. to manage. I don’t know about you, but on more than one occasion my classroom calendar has been two months behind. Once it said December after Spring Break. If I’m being completely honest, there are times when my pile of papers to grade is taller than my three year-old. I would be the teacher that has “Welcome Back!” on my lightbox in February. Or I’d have the vocabulary words from three units ago displayed in lights during my formal observation. I know myself. This would be one more thing on an ever-growing list of things that I’d have to keep track of and well, I wouldn’t. #2. It is just one. more. potential distraction. #3. What does it have to do with student achievement, really? Now I know you might be thinking – geez, Sarah, could you be anymore of a killjoy? Yeah, I probably could be. And I totally acknowledge that the above question sounds like I could write the “active monitoring” manual for any number of state tests. More and more, though, this is a question I’ve been asking myself when I’ve been making decisions about my classroom. Student achievement is absolutely not the only thing I care about – I care an awful lot about my kiddos as tiny people, too (I mean, I spend my free time making things to that effect). But the most important job I have is to make sure each of my kiddos can experience success. 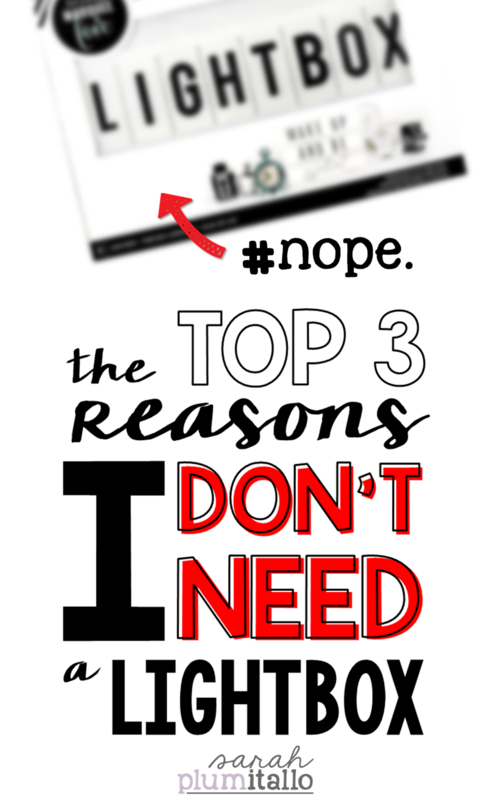 I’m just not sure how a lightbox does that, especially when I consider points #1 and #2 above. There are other ways for me to display quotes, vocabulary, or emojis. For me, the time I spend making accessories for or updating the lightbox could be better spent elsewhere… and the risk of distracting my most vulnerable students is too high of a cost to bear in my classroom. None of this is to say YOU shouldn’t buy one. I’m all about the #doYOU spirit. But for my fellow fence-sitters out there – my friends that scroll past trends like this on Instagram and have not-a-cool teacher guilt (it’s a thing, people!) – you’re not alone. 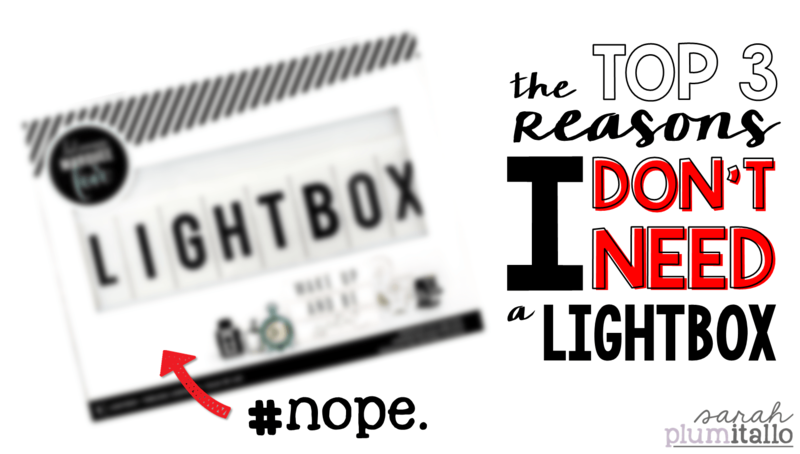 Whatever your reason for not buying a lightbox (or single-handedly clearing out the Dollar Spot), it’s okay. I’m with you.